Ensure that your nails are perfect with a professional shape and in-depth cuticle tidy before chip resistant, hard wearing ‘Shellac’ gel lacquer is applied. Tension is then worked out of your hands with a relaxing hand massage; finish with a refreshment of your choice in the relaxation lounge. 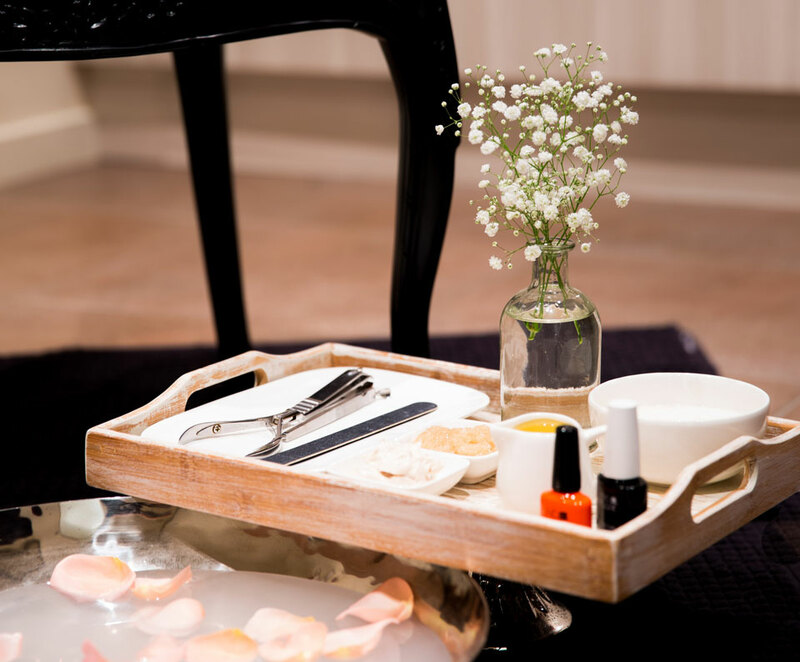 Treat your feet to an indulgent deluxe pedicure. After a refreshing foot soak your feet and legs are buffed with a detoxifying sugar scrub, nails and heels are then cared to with professional care and attention, before tension is massaged out of the feet. This is followed by the toes being brightened up with a polish application. Finish this deluxe treatment with a refreshment of your choice in the relaxation lounge. Refresh your feet with a refreshing foot soak and brightening sugar scrub before your nails are trimmed and tidied; heels are buffed; then toes are painted in a colour of your choice. Finish with a refreshment of your choice in the relaxation lounge.